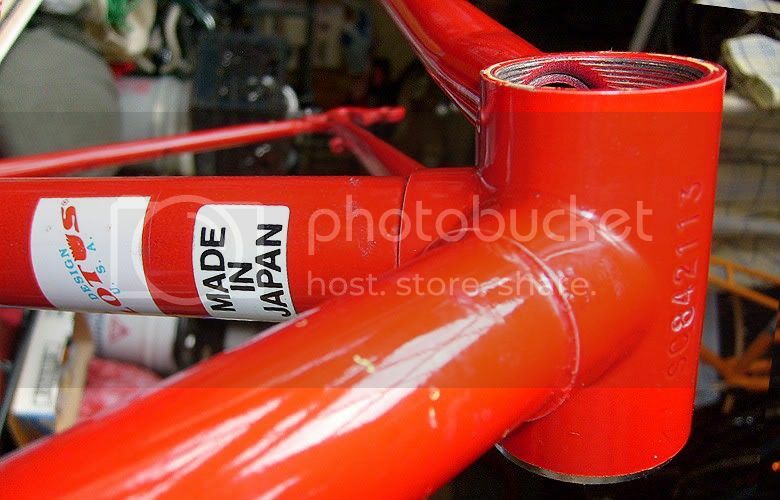 "The INTERNATIONAL gives you everything you want in an inexpensive sport bicycle, and 100% Japanese construction for reliability and dependable service." 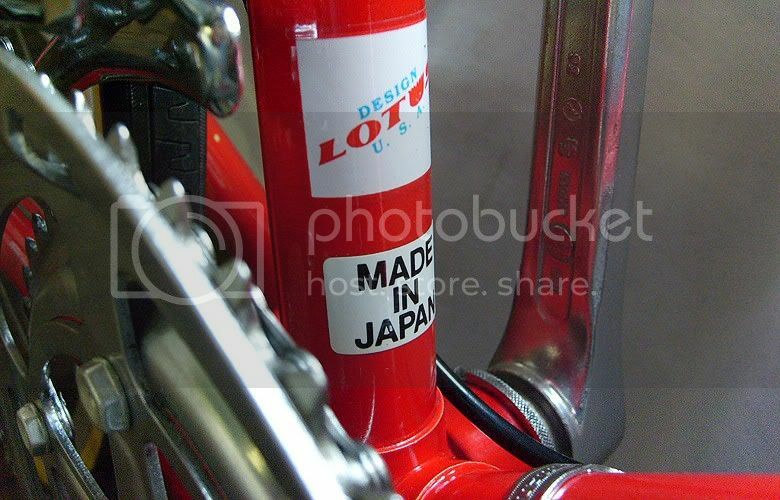 "The LOTUS is well spec'd so the parts fit and work together ... no off brand parts were used, all Japanese quality , all easy to adjust." This circa 1988 Lotus international in "Scarlet Red" was owned and restored by Charles Flaherty from Baltimore Maryland. 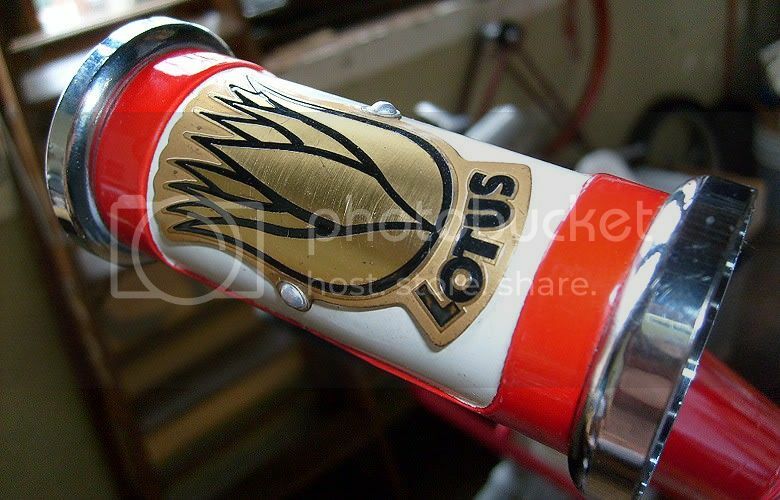 The Lotus International is a high quality entry level bicycle that finds it's place between the steel-rimmed Lotus Special and the very popular Lotus Challenger. 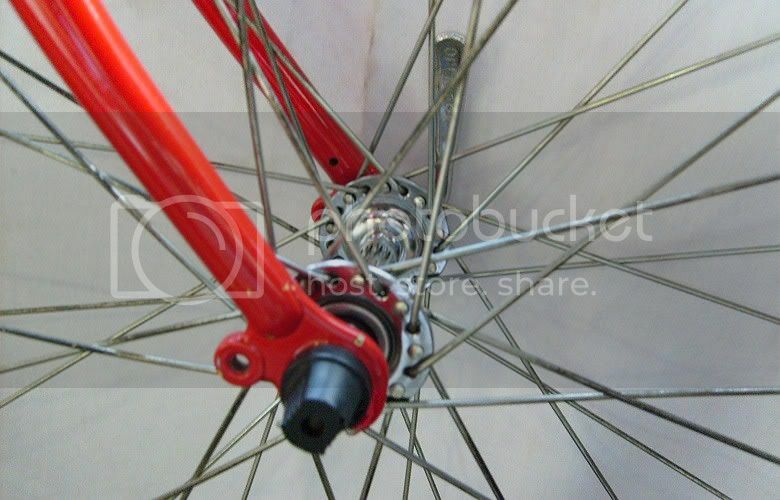 Major improvments over the Special included alloy wheels and a "quick release front hub for convenience in transport and locking". Charles overhauled the bike in its entirety, completely removing every part down to the bare frame. 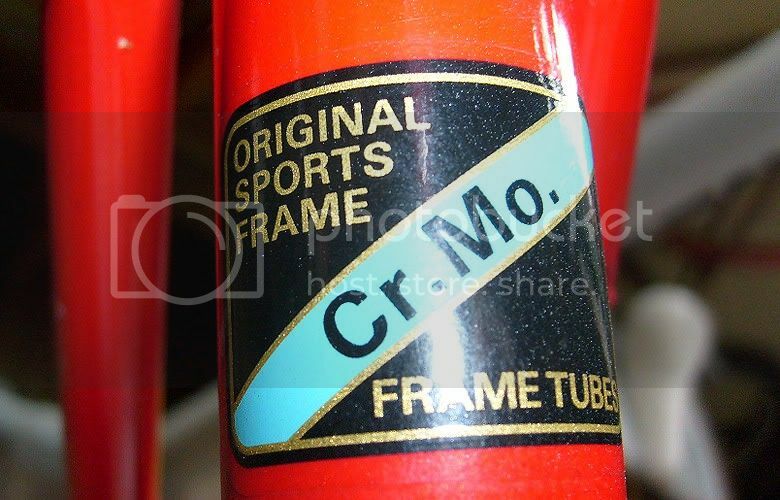 The bicycle is original in appearance although Charles states the cables and bar tape were white when he purchased the bike. 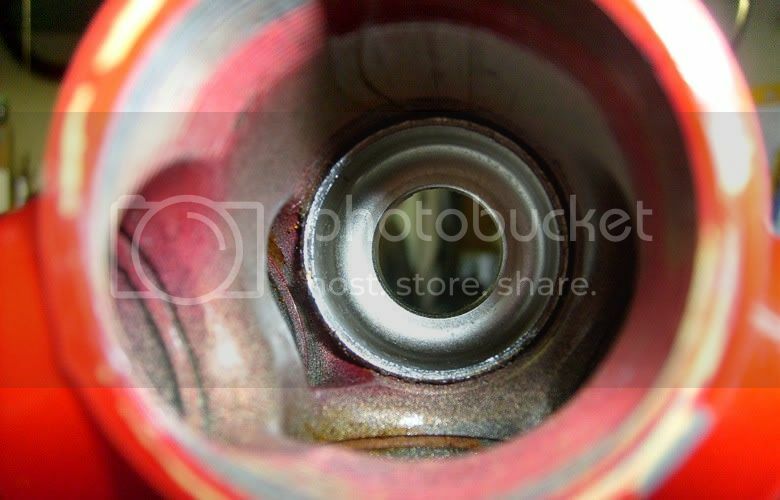 The brake extension levers have also been removed. 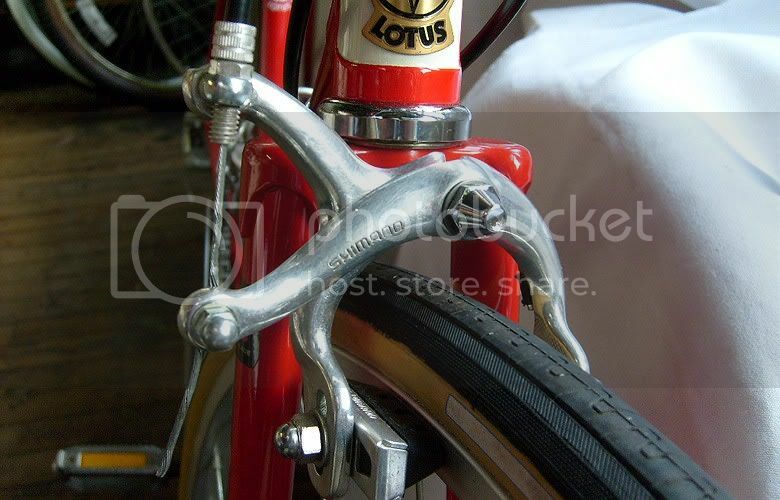 The International and Special did not come with brake lever hoods, you had to step up to the Challenger for that luxury. 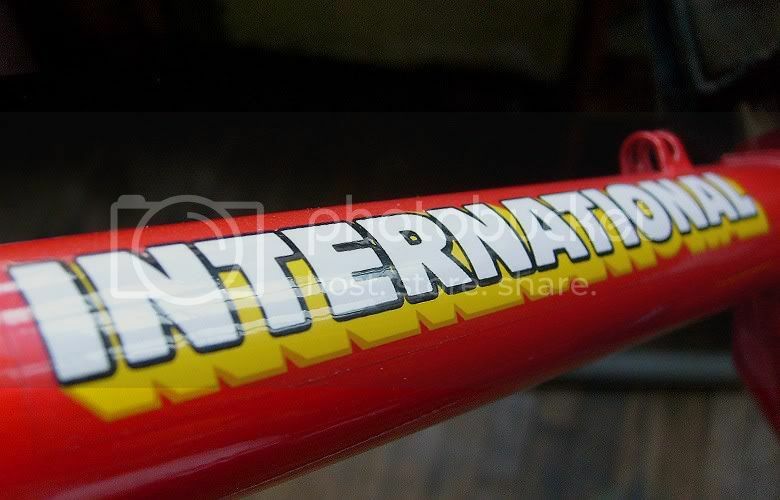 The International was also available in a traditional ladies twin down tube frame style. 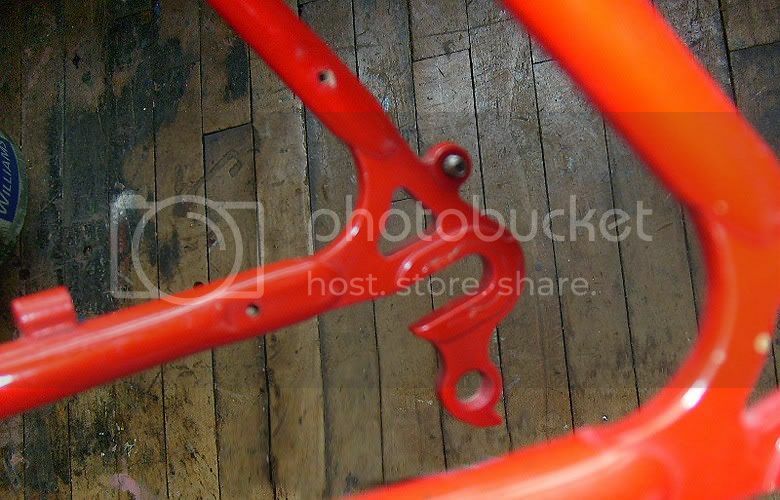 This frame displays clean lugwork and nice paint, even for an entry-level bicycle. 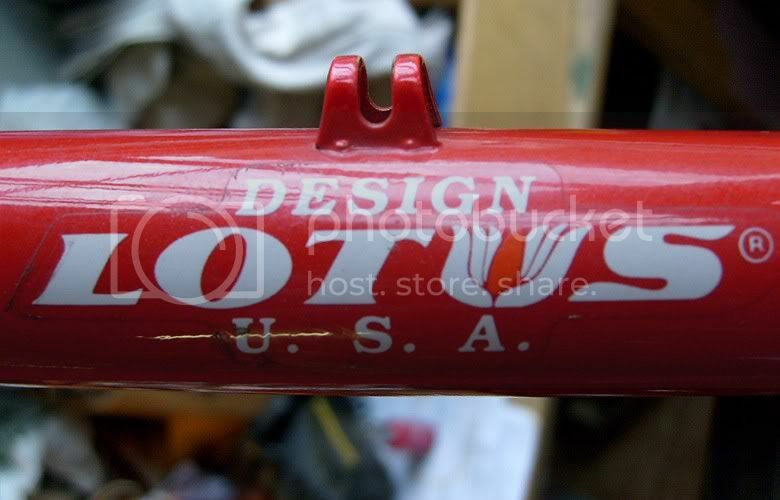 Notice the careful masking job on the steering tube. 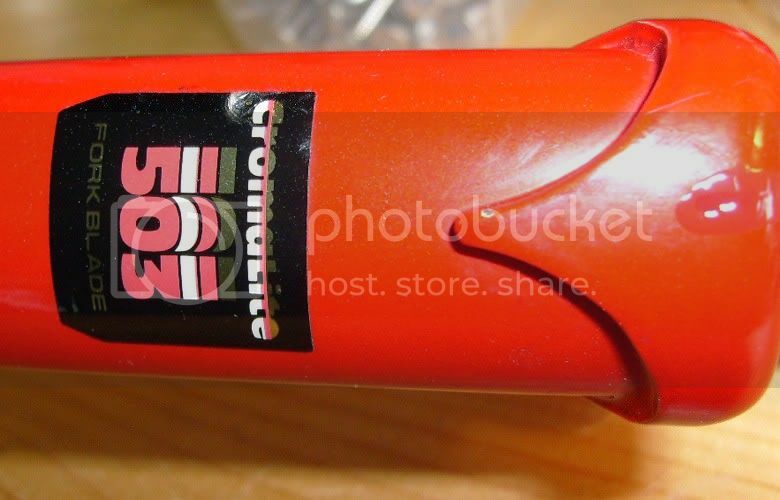 The steering tube is marked TANGE 8B, probably manufactured in February 1988. More information on the Lotus Challenger can be found on our model page here. 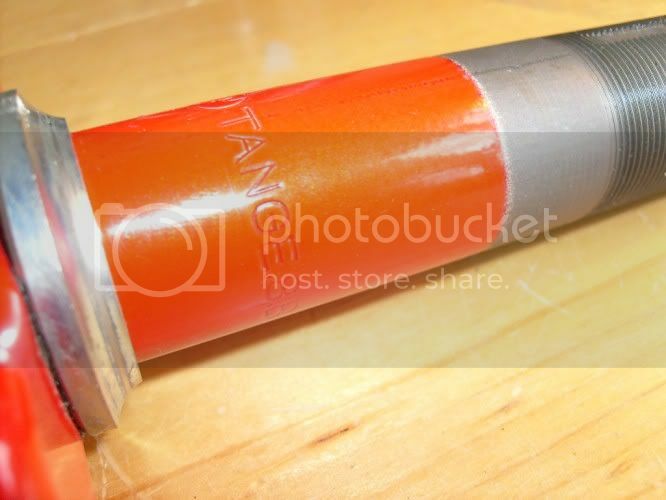 Click on any small photo to enlarge the image in the main window. "... a little bit of cult status thrown into what was a thorough rebuild, done with care." Content copyright . TDS. All rights reserved.